Traffic is being temporarily held on the motorway following the incident on the southbound carriageway between junctions 23A and 24. No further details have been released about the crash. 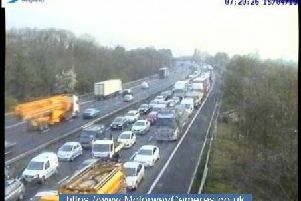 A breakdown has also forced the closure of one northbound lane on the same stretch of the M1.